Microsoft Office has set the corporate standard in documents since the 1980’s, and in 1996 a new member of the suite for better or for worst changed corporate email forever, Microsoft Outlook. Here we are at the second half of 2018, people are eagerly anticipating how Outlook 2019 will influence the email client market. How the release will change corporate email handling at the backdrop of wide adoption of web-based email systems (Gmail, Outlook.com, etc.) in the era of smartphones and tablets. As of this time, Microsoft released a preview version of what will Outlook 2019 will be once it gets released this second half of 2018. There has been no official date yet, but when we go back to when the Office 2016 was launched some time ago, it was at the end of September. Only volume-licensed customers are privileged to install a demo of Office 2019, as part of the Commercial Preview program. Microsoft for many years offers two flavors of Office, the desktop version and Office365, the subscription version. With Office 2019, its feature-set has been made closer with Office365 than any other previous versions. Office 2019, like Office 2016 preceding it is a licensed desktop Office suite, a complete set of office applications like Word, Excel, Powerpoint, Outlook and etc., the license is associated with the computer (more than one computer if volume-licensed). For the entire duration of its lifecycle, Microsoft will only release security updates to it and not new features. This is a huge contrast to Office365, which is a cloud-based Office suite. It is a subscription-based version of the same applications, intended for up to date features and highly integrated collaboration tools. There is no final version of Office365, as it is constantly updated as Microsoft see fit. Many of the new features of Office 2019 are already offered by Office365, as the former’s goal is to create a more consistent feature-set between the two flavors of Office. In the end, the users are benefited, as they can jump from one version to another without the steep learning curve. Built with touch and digital pen in-mind, Office 2019 is fully integrated and compatible with Microsoft Surface. Doodling on the device does not require 3rd party applications and directly supported by office applications. New ink features such as titling and pressure sensitive writing and drawing are a welcome capability for any digital artists. Users will feel the digital pen becoming closer to the feel of a real pen, as the ink thickness depends on the pressure users exerts and the angle of the pen. Excel for many decades has been an undisputed spreadsheet application, with Office 2019, new formulas are made available. PowerQuery and PowerPivot are greatly enhanced, and capability to take advantage of as much memory as possible for huge spreadsheets. Presentation software is a commodity these days, but what makes Powerpoint 2019 different is an integrated Morph and Zoom feature, making highlighted parts of the slides to stand-out from the rest. This feature has been taken advantage of by Office365 ProPlus, but it was not available for Office 2016. Of course, like the previous version of Microsoft Office, the 2019 version needs to be protected from cybersecurity threats. One of the threats to the enterprise and the users that need to be aware of is Spam. Anti spam software for Outlook is a highly competitive market, as cybersecurity vendors try to outwit one another who among them can offer the users the best quality solution. Any free anti spam software for Outlook does not guarantee updated signatures for detecting spam, While Comodo Anti Spam Gateway is bundled with a real-time cloud-infrastructure anti spam software for Outlook’s threat detection system named Valkyrie It filters emails and categorizes them as spam or not, depending how the system administrator configure the anti spam software for Outlook. Compared to a typical anti spam software for Outlook, Comodo Anti Spam Gateway insulates people from contact with dangerous content and prevents users from being exposed to the most vulnerable layer in a company's cybersecurity system. It is an all-in-one anti spam software for Outlook solution incomparable to the default basic anti spam software for Outlook that comes with the email clients. A hardware anti spam software for Outlook solution works transparently for the users, compared to the complicated interpretations of anti spam rules. A commercial anti spam software for Outlook runs parallel to the mail server and does not slow it down compared which no anti spam rules promoted by the state can provide. anti spam software for Outlook are enforced by the enterprise as part of the corporate policy, it can be relied by business enterprises. Comodo® Anti Spam Gateway protects the email clients from malicious attachments and links, a comprehensive anti spam software for Outlook. Anti spam software for Outlook’s Heuristics cloud-based scans, a powerful algorithm compared to anti spam rules, it quarantines questionable messages as one of its primary anti spam actions. 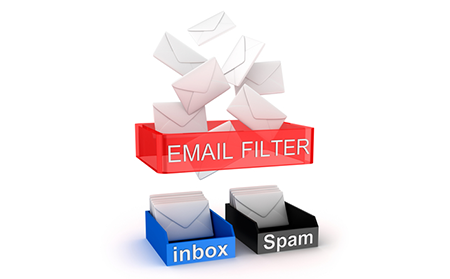 These days that spammers are not afraid of a typical anti spam software for Outlook, they have all the tools at their disposal to continuously improve their spam. Comodo Anti Spam Gateway, anti spam software for Outlook is a multi-tier system for fighting junk emails. Depending upon the requirement of the enterprise, Comodo anti spam gateway is a business anti spam software for Outlook which can be entirely cloud-based, hosted in the cloud, but connected to your mail server or a hardware appliance located in your own office network itself. Such business anti spam software for Outlook, prevents delays from email sending and receiving, in contrast to a software-based anti spam software for Outlook that runs on the mail server that interferes with the operation of the latter in real time. Better than an entry-level free anti spam software for Outlook, Comodo® Anti Spam Gateway quarantines suspicious attachments, an effective guard algorithm. Enabling users to confidently open and access email attachments, as they are protected by anti spam software for Outlook, as Comodo guard system scans the emails in the background for malicious contents that may harm your computer and the corporate network.